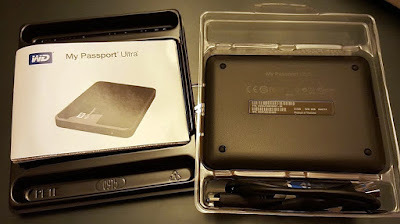 If you are looking for an unusual Mother's Day gift that protects what is of value and could save a lot of heartache and annoyance as well as being beautiful, then My Passport Ultra might be just the thing. WD's research found that the average consumer values their digital content at £3,241. I agree with the 26% of people who consider their digital content as 'priceless'. My photos of the children growing up are all over the place, it would be lovely to have them all together where I know they are safe. I've deleted photos to make space and then regretted it several times, just like 56% of consumers. I've also run out of storage on my phone and had to transfer everything to my computer many times. I lost my Christmas list and last year had to beg everyone for addresses. You can get some back, but you rarely find it all. When I plugged the My Passport Ultra into my Windows 10 laptop it gave me choices about back-up without downloading anything, so it really can be 'plug and play', however My Passport Ultra also comes with it's own back-up software included, which can be downloaded swiftly from the WD Website and adjusted in seconds. 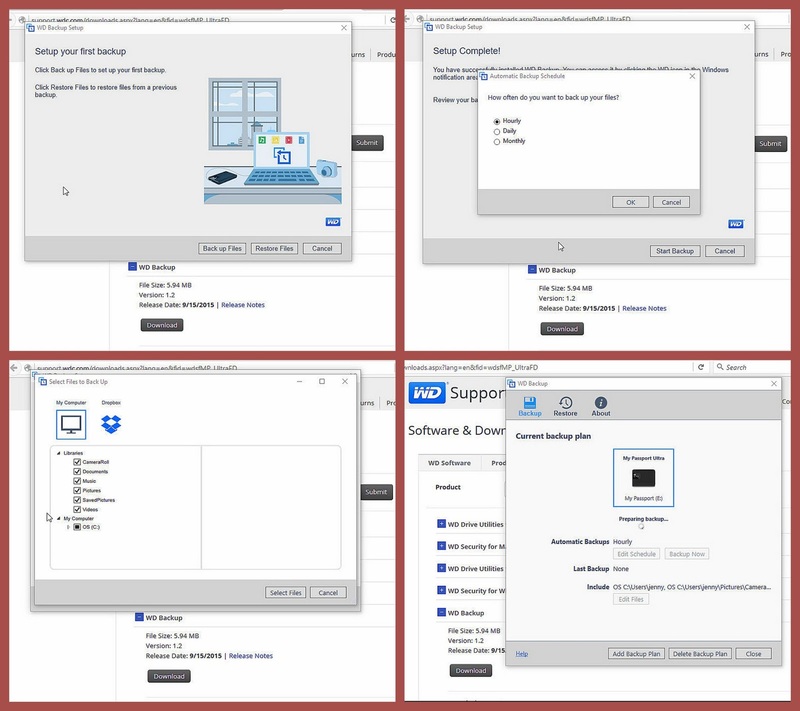 You can set regular automatic back up times and dates for your whole computer or your chosen files/folders. You can also choose to back up to the cloud. 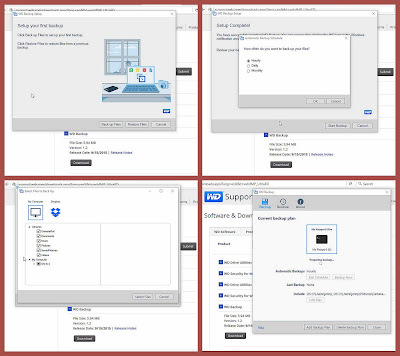 Back-ups only replace any changes or add new files, so are relatively quick. and it really is simple enough for a true novice to use effectively. Packaging is neat and minimal, the supplied USB3 cable is 45cm long - handy enough to put in your bag, long enough it isn't annoying. 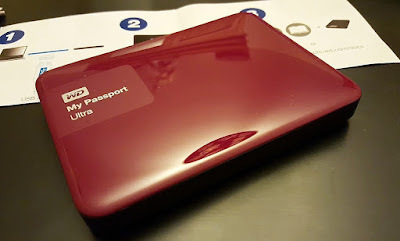 The hard drive itself is exceedingly quiet (as expected), and really good looking and light. WD have made it something special by adding colour, and you can buy mix and match accessories too. I can't really fault My Passport Ultra. It does exactly what you'd expect, and it does it well. It's intuitive and simple to set up and use, even for a novice. The back up software is great and it's fantastic to know I have a place to store all my old photos, as well as a regular back up of everything I'm writing and editing right now! 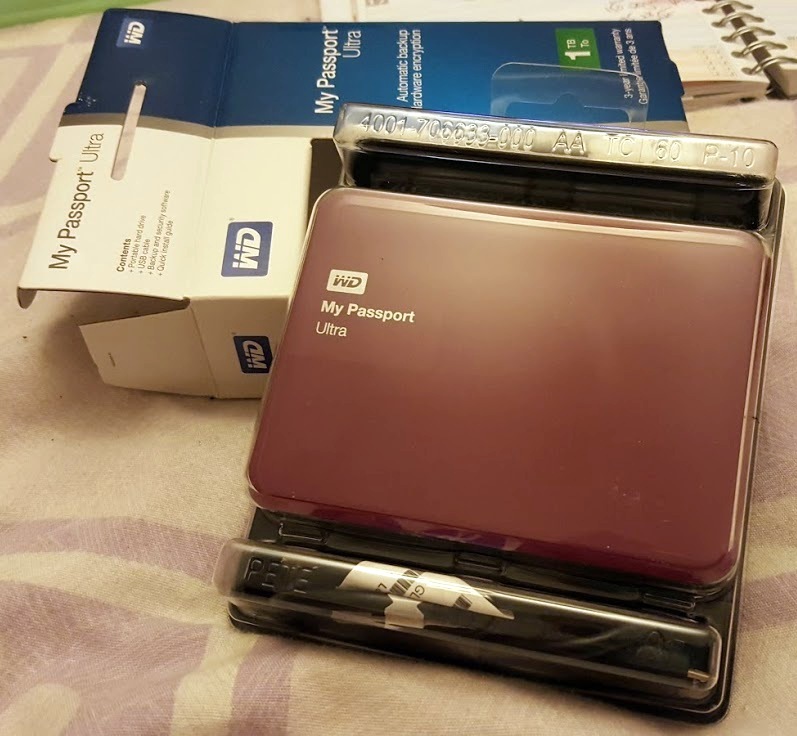 A 1 Terabyte WD My Passport Ultra costs around £62.99 - available online at the WD Store and from selected retailers. 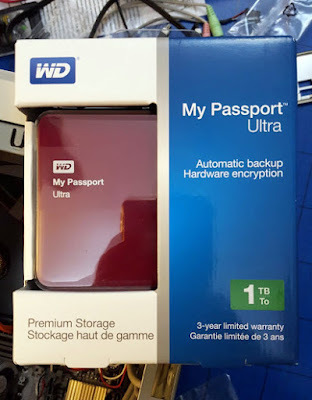 Other capacities are available - 750gb, 1, 2 and a staggering 3 Terabytes of storage, and it comes in 4 different colours - Red, Blue, Black and White. All have 256-bit hardware-based data encryption and a three-year limited warranty. I'm delighted to say that Western Digital have kindly offered one of my readers a My Passport Ultra Portable Hard Drive as a giveaway prize. Entry is by Gleam form below, UK entries only, sorry. The giveaway will end at midnight on Sunday 27th March. For full terms and conditions please see the bottom of the Gleam form. All my photos and documents! My external hard drive has just died and I really need this! All my family photos you cant replace those moments in time. I would use it for some of my zillions of photos! Im sure the one I have at the moment must be nearly full by now! Make game saves - photos and and documents. my photos, videos and music! plus allsorts of things really! All my photos and documents and music! Amazing prize to save many special memories. My photos and home videos. Address book, lost it so many times! All my family photos and video. My family photos, scans of our important documents and films/music. Always useful to have backup storage in the modern world. I would store my 40GB plus of music! such a great idea now everything is stored electronically. I always say I would back things up but I never get round to it. This could really be that nudge I need to do it. I would store my thousands of precious holiday photos! It would have to be the photos of my 6 children and 1 grand daughter. Definitely photos and videos- I don't learn and have lost so much as laptops have broken over the years. I'd store documents I'd like to still have if my laptop failed, and stuff I need to take with me when I travel. What would we store? Mostly, loads and loads of photos. It's amazing how many photos everyone takes these days compared with just a few years ago. Needs a lot of storage space to keep it all! I would store all my photos and videos. I would store photos of family and pets and some old official documents that I need to keep for several more years. Pictures & games for my boys! Everything, I'd use it to back up my computer. Most precious things would be family pics and vids. Family videos and photos would be the main thing. all our family photos and probably a bit of music!! The many, many photos and videos I take! All of our family photos - there are lots! I'd stick all my photos on there and back it up! this would come in very handy for me and my partner!!!! I would store all my precious holiday photo's. All the photos and videos of my son. I'd use it to regularly back up my laptop etc and obviously store my precious memories - photographs. I would store all of my live music recordings on this! really need a new hard drive as my pictures taken on my SLR take up to much memory space! Family photographs as they need to be somewhere separate. Perfect drive for backing up important files when you're on the move! Definitely family photos! Storage of photos is an eternal problem! Photos and work documents. Not very original! I would store all my music, tv shows and photos on it! I have so many! I'd store all my photos. I would like to store my photos and prevent me losing them like before. Photos, music & basically a back-up of my laptop. All my personal photos and documents I have on my pc and laptop to clear some space on both of them. I would use it to back up my photos. Almost everything else can be found again on the internet, but peresonal things like photos. Full system image backups of my PC so that when not if) disaster strikes I can easily go back to a time when the PC was well-behaved. Family Photos, Video clips of the boys & any important files. My photos and music - lots and lots of music! Great review. Plenty of space for photos, music and more. All my photos. I've got some really precious pictures of my nephew, who died 2 years ago, from the last time I saw him. I really don't want to lose those memories! All of my music and videos! Id store my family photos. All my music and family photos. I can fill it with all my books and photos . I'd store all of the photos of the kids, but also my digital scrapbooking supplies which I seem to hoard but am running out of room on my harddrive to store! Great prize i need this. Photo's of family & holidays. Photos of memories from some of the best times in my life. Photos, videos and music! Would be amazing! I would store photos of my family and the Comic Cons that I've been to. Old black and white family photos from the 60s holidays! Photographs and videos of my family - memories which can never be recreated if lost.